or worship idols, steal, or covet wives. the teacher said, God meant we should obey. 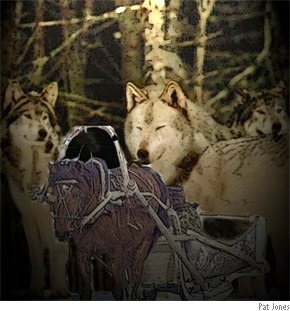 above a pack of wolves that chased a sleigh. and children tumbled from the back and sides. she thought, they only threw bad children out.